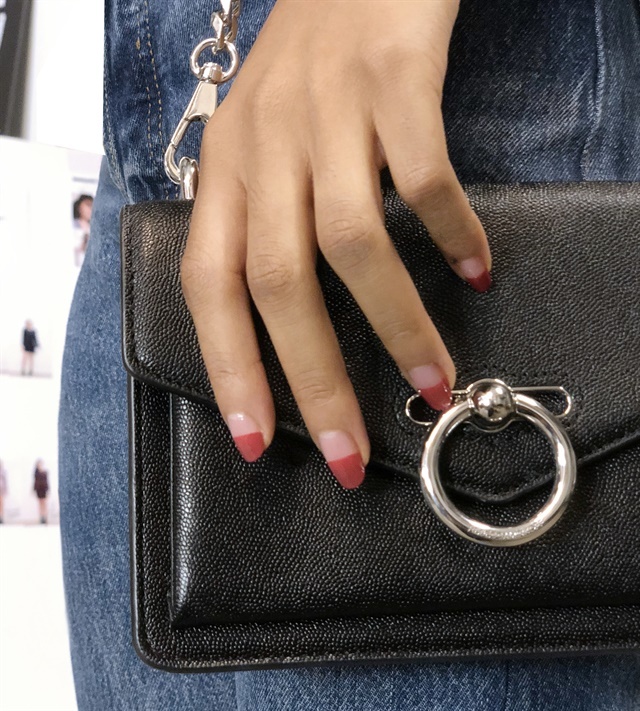 For the Rebecca Minkoff Fall 2018 Fashion Week film series I Am Many, Tori H. for Essie created a subtle and sophisticated color blocking design using some iconic favorites and the Stop, Drop & Shop shade from the new Essie fall 2018 collection inspired by New York City. 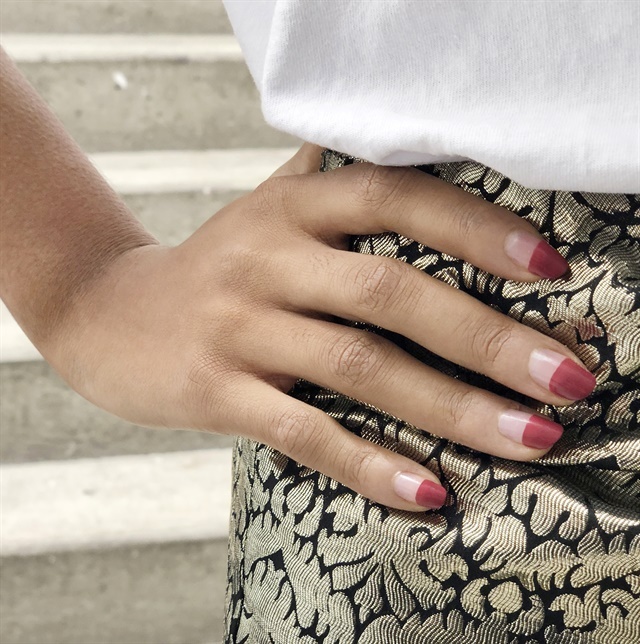 See the steps below to recreate this look. 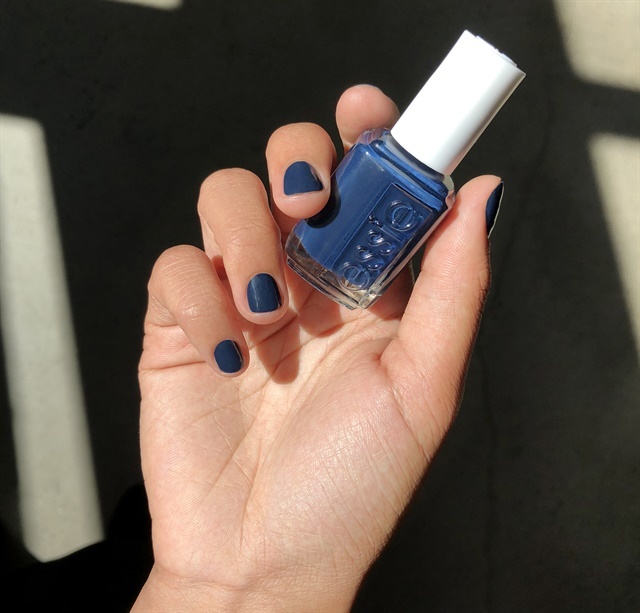 Apply Here to Stay base coat for a smooth polish application. Add one coat of Skinny Dip to lend nails a clean and healthy look. 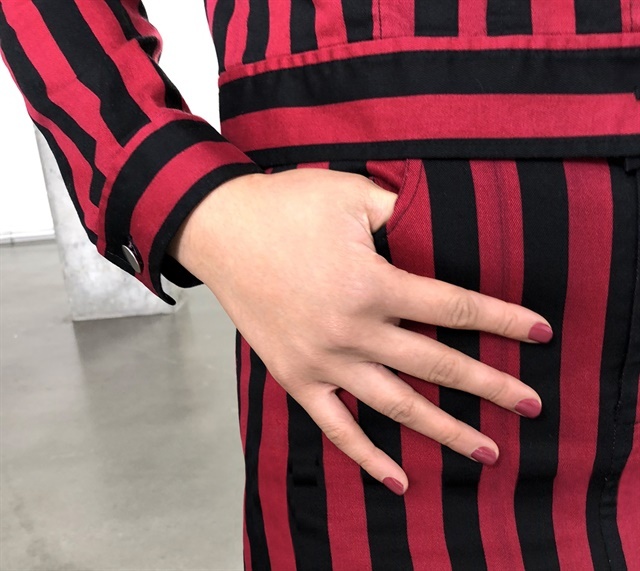 Dip a striping brush into Stop, Drop and Shop, and create a horizontal line across the middle of the nail. Finish with Speed.Setter top coat for high shine that dries in less than a minute.